While many people contemplating divorce are instinctively concerned about the division of assets, many do not realize that a court also divides financial responsibilities as well, such as debt. Most married couples share accounts, and it can be difficult to maintain your credit if your ex stops paying the bills on a shared account—even if you both agree to take responsibility for this or that credit card or bill. Remember if your name is on something, you are responsible for it—regardless of what the court documents indicate. For these reasons, it is crucial that you and your attorney separate all joint debt during the divorce process. For example, if you and your ex shared a credit card during marriage and there is $5,000 debt on that card, $2,500 would be transferred to a card in your name, and $2,500 transferred to a card into their name. While closing accounts can impact your credit score, what is most important is that you fully separate your financial account so that you are not left vulnerable to your ex’s charges in the future. This is also a crucial time to reevaluate your monthly expenses and decide which ones are most important, and what you can and cannot do without, as there will most likely be new expenses as a result of the divorce, such as rent or a new mortgage (or all of an existing mortgage), a new health insurance policy, child support, spousal support, etc. This is also a time when you want to avoid any big-ticket purchases, such as trips, cars, property, etc. Getting used to your new life and new budget is a crucial step. When you’re first going through divorce, it can sometimes be difficult to add to or start a savings fund. As soon as you can, however, fill your existing emergency fund up, or start a new one. 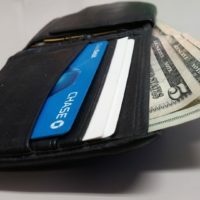 A starter emergency fund usually has at least $1,000 in it, however, eventually, it is ideal to have three to six months’ worth of expenses in it. It can be a huge stress reliever just knowing that you have some money set aside for a rainy day. You and your attorney are a team when it comes to planning and ensuring that you are financially stable during and after your divorce, so ensure that you work with the best divorce lawyer possible. If you live in Orlando, Sarasota, Tampa, or a surrounding area, contact our Florida divorce attorneys at HD Law Partners today to find out how we can help you.